I spoke with Rob Steele, last week, and he answered my questions with enthusiastically pro-Israel, anti-Hezbollah statements. He didn’t hedge nor did he qualify his answers. Do you agree with him or disagree? 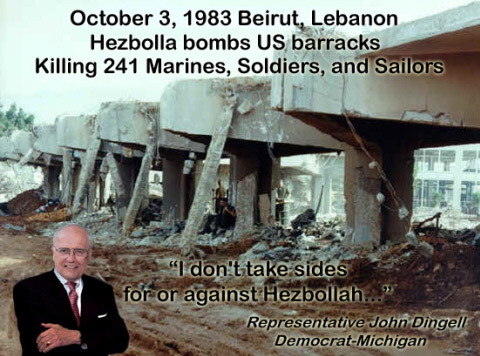 Are you against Hezbollah, the terrorist group which murdered more than 300 U.S. Marines and officials in the 1983 bombings of the barracks and U.S. Embassy in Beirut, as well as the 1985 murder of Navy Diver Robert Dean Stethem, CIA Attache William Buckley (in 1984), and UN peacekeeper Col. Rich Higgins (in 1988), . That’s in addition to the Hezbollah bombing of the Israeli Embassy and Jewish Community Center in Buenos Aires Argentina in the 1990s, killing about 100 people? Rob Steele: I absolutely disagree with him. Hezbollah is a terrorist group which murdered many innocent people, including Americans. The statement he made is outrageous. I oppose Hezbollah. I support Israel. Me: Do you support Israel, America’s only reliable ally and democracy in the Middle East? Do you believe in Israel’s right to exist and a continued strong friendship between America and Israel and what is your position on American foreign policy with regard to Israel in the Middle East? Rob Steele: I support America’s ally and friend, Israel. Israel has a right to exist, to respond to the terrorist threat, and to protect and secure its borders. Even aside from the Middle East, the contrast is stark between Steele–a successful cardiologist and businessman who has never held office, and John Dingell–a far-left career politician who has been in office for more than 50 years and has never held a job in the private sector. 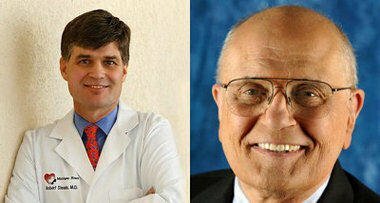 As you may know, John Dingell was one of the original sponsors and a key supporter of ObamaCare in the House, and Rob Steele, a medical doctor, has opposed it since day one. The only issue on which John Dingell is “conservative” is the Second Amendment, which is why the NRA usually endorses him. But Rob Steele is a down-the-line conservative, including on the Second Amendment. If you are an NRA member, ignore that organization in this race, as there is no contest here on the gun issue. As I told you before, my late grandfather, attorney Irving W. Schlussel, was friends with John Dingell, Sr., who was a conservative Democrat and pro-Israel. His son who inherited the seat has been in too long, become too liberal, and is merely the tool of the jihadist Sh’ite Muslims in the Hezbollah-dominated Dearborn portion of his district. In his mid-80s, it’s well past time for John Dingell, Jr. to go. And I know Grandpa Irving would agree. My late father, Irving’s son, would be going door to door for Rob Steele (as he did for other candidates like him), if he were alive today. I truly believe this could be the upset of the year, despite the Republican Party’s hands-off approach to their own candidate who is within close striking distance and, again, is LEADING by four percentage points in a recent poll. I hope you’ll donate to Rob Steele’s campaign in these last days and help put him over the top. Below is an article from The Detroit Times, from November or December of 1948, not long after Israel became a State. It is about a pro-Israel dinner hosted by my late grandfather, Irving W. Schlussel, a lawyer, Detroit Jewish Community Council President, and President of the Jewish National Fund (which reclaims swamp and rocky land in Israel and plants trees on it). John Dingell, Sr. is one of the honorees, and he is pictured in the photo with my grandfather. 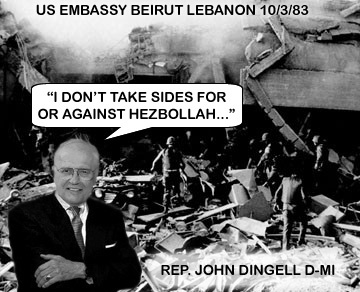 Dingell, Sr. was inscribed in the JNF’s “Golden Book” for his support for Israel. His statement (some of which is unfortunately cut off in the only copy in my possession) is very pro-Israel. Today, he is probably turning over in his grave, at the disgusting actions and statements of his terror-apologist son. Debbie, I’m sure he does. And while you point out there isn’t a lot to like about the Republican establishment, there are candidates running, like Rob Steele, who are conservative and pro-Israel who don’t have its backing and deserve our support. If Dingell were like his father, it would indeed be no contest. But he isn’t and here voters in his district have a clear choice. Its time to send him packing! Just fired over $50 for Steele. Well let us hope that Rob Steele does win the election over John Dingel, but we need “real conservatives” to win this years election, not Democrats who are in Republican clothing! If a politician isn’t afraid to answer questions from Debbie then it shows they can muster the courage to take on the tough issues. Dingell-berry looks like a talking corpse – fitting for what he embodies: the corpse of as once-great nation. As the Muslim population increases, politicians can be expected to pander to them in order to get elected, and then re-elected. The larger the Muslim constituency, the more the politicians will bend to the Muslims’ agenda, no matter how destructive such an agenda may be to the rest of us – Muslims will inveigh against Israel and push for accommodation with Hamas, Hezbollah, and other jihad-waging organizations and the anti-Western, anti-American governments which support them. In addition, Muslims will push for special privileges (such as an insistence on the availability of prayer breaks during busy work hours, or exclusive use of public facilities) and for increasing Sharia compliance. Muslim immigration into our country should be, for these and other reasons, severely restricted. The Shi’ite influx into the Dearborn area began, I believe, in the 1920s or slightly before, courtesy of Henry Ford, who for some reason recruited Shi’ite Muslims from Lebanon to come here and work in his factories. I believe he was unwilling to hire black Americans, and looked elsewhere for labor. Behold the fruits of his bigotry. Hey Deb, that one picture of Dingell-ling you have up next to Steele reminds me of the creepy preacher in Poltergeist II! Now that southern Lebanon aka HezbAllahStan is an official Iranian colony, the “Party of Allah” is one step closer to their goal of a global Imamate. And “secular progressive” politicians such as John Dingell are happy to assist these repressive, totalitarian, genocidal theocrats in their imperialist goals. It’s infuriating! I was prepared to donate via PayPal by using the link you provide. But, I only found the usual credit cards. Is there a way that you can communicate the fact to the candidate(s) that some people feel more comfortable using PayPal. Dr. Steele is the real deal. The debate is tomorrow night. It seems typical that the Republican establishment will support the worst hacks, such as Kirk the Jerk, me-too Republicans in California, and not someone like Dr. Steele. The trouble with single-issue groups such as the NRA is that they are easily bought by pork-barrel politics, or, as I guess they are called now, ‘earmarks’. They are also susceptible to political pressure. Dingell is such a relic. It will be a revolution when him and his ilk are rode out of town. Hopefully Dr. Steele is aware of, and planning to combat the 2-point fraud factor. Whatever the polls show, two additional points must be given to the Dems to account for the election fraud they almost always practice. In other words, if the polls show Steele up by four, he is really up by two, as the Dems will steal about 2 percent of the vote. It is important for those living in that Congressional District to help Dr. Steele watch the polls to minimize the amount of election fraud Dingell and the Dems will attempt. Done. Readers should understand that there has been a tremendous swing from Dingell to Steele. However, one can expect last-minute outpourings of money in favor of Dingell, given how he suddenly is in jeopardy. Your contribution really is important in this race–it’s not just a symbolic gesture. Dingell is a aging puppet, it’s clear his wife and/or handlers do all his decision making at this point.